The 7mm SA Ultra ammo or Remington 7mm Short Action Ultra Magnum, is a Remington cartridge designed to compete with the popular short action Winchester magnum rounds. 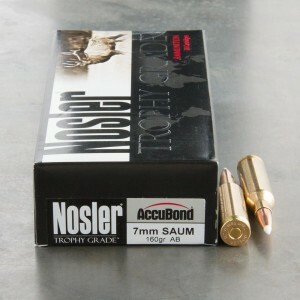 The 7mm SA Ultra Mag ammunition is a potent and powerful caliber that is capable of taking very long shots. Introduced in 2002 as a direct competitor to the Winchester rounds and was premiered in the Remington Model Seven Magnum rifle. The 7mm SA Ultra Mag uses a slightly shorter case, but other than that the Winchester and Remington rounds are identical performance wise.